Welcome to Great House Alpacas. Owning and breeding alpacas since 1995 has been a constant delight and reward. We are extremely proud of our animals, which come in a wide range of colours and genetics. Standing at stud we have the Melbourne Champion white male Accoyo Shere Revenge, son of Rasputin and grandson of Shere Kahn; Jonathan son of BAS Supreme Champion Caleb; and BAS Award winning White, Black, Brown, Fawn and Grey males to choose from. High quality females are sold pregnant or open with the choice of stud male, with guaranteed live birth. We also have reasonably priced Peruvian stud males for sale together with a selection of pet males. 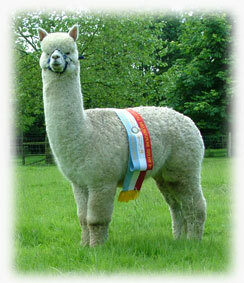 All animals are halter trained, micro chipped and ear-tagged and animals are registered with The British Alpaca Society. We provide general advice and friendly ongoing support, and visitors are most welcome. Please telephone for an appointment.